Oh how i love holidays! and i make wreaths for well just about any specail occasion i can think of. 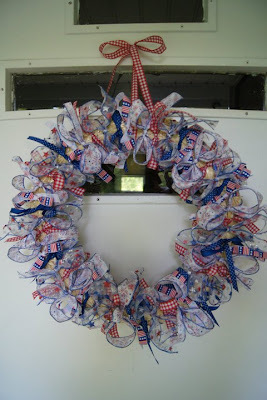 My latest 4th of July wreath has turned out to be my favorite so far! ...then set back and admire your new wreath!